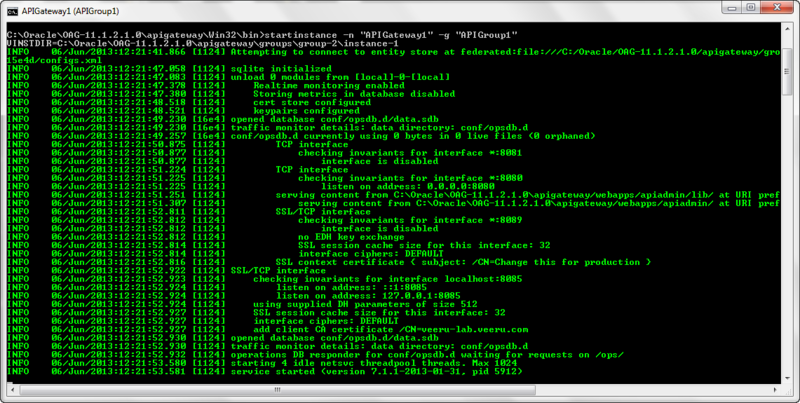 Navigate to C:\Oracle\OAG-11.1.2.1.0\apigateway\Win32\bin and double click on "nodemanager.bat"
> startinstance -n "APIGateway1" -g "APIGroup1"
Here, APIGateway1 and APIGroup1 are the instance name and group name that i have defined during installation. On windows, if you have configured to have the instance listed as a Windows service during installation, you can go to services and start the same. 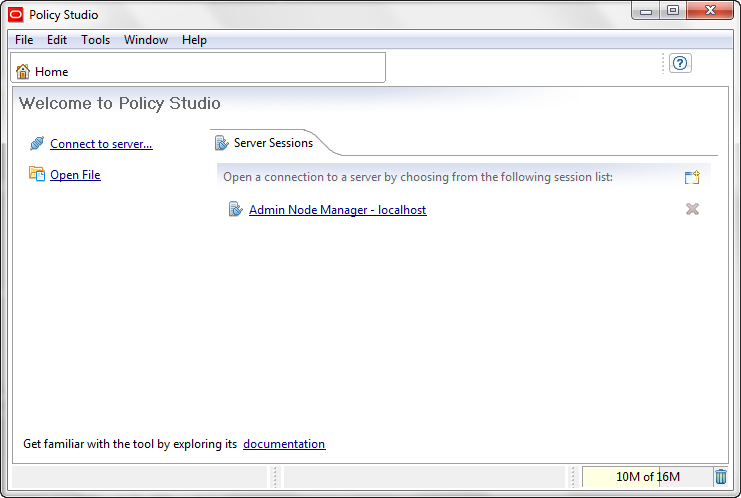 Navigate to C:\Oracle\OAG-11.1.2.1.0\oagpolicystudio and run "policystudio.exe"
we will talk about some configurations using Policy Studio in the next post.